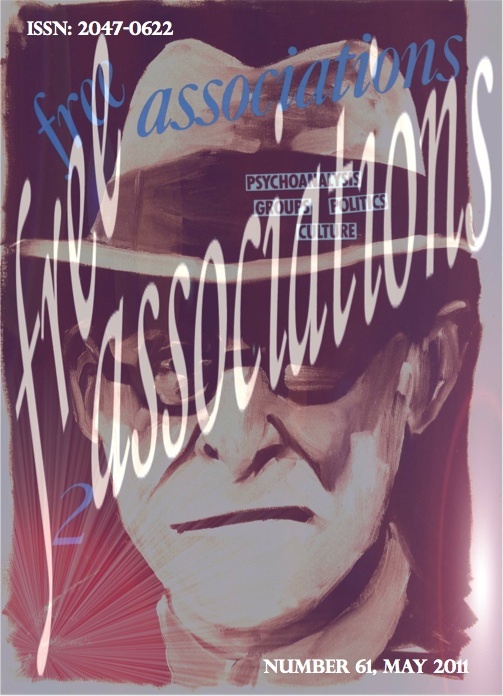 The cover for the new issue of Free Associations: Psychoanalysis and Culture, Media, Groups, Politics is a mash-up of a vintage cover from FA Number 2 and the new website logo which was designed by Max Chapman. The latest issue includes articles by Jerry Piven, Eva Migliavacca, Candida Yates and Colin White. Editor Emeritus, Robert Maxwell Young provides an invaluable guide to the contents of all previous editions of the journal and Paul Sutton reviews Freud’s Requiem by Matthew von Unwerth. Click here to read this edition.